OK, here are the watches that put the HH into SIHH, the sort of timepieces that challenge and define exactly what it’s possible to do with a watch on your wrist. These sort of movements take years and years of development, so it’s unreasonable to expect a new one every year, but at this year’s instalment of SIHH, the top end of town was very well represented, with some genuine innovation, and true ingenuity on show. 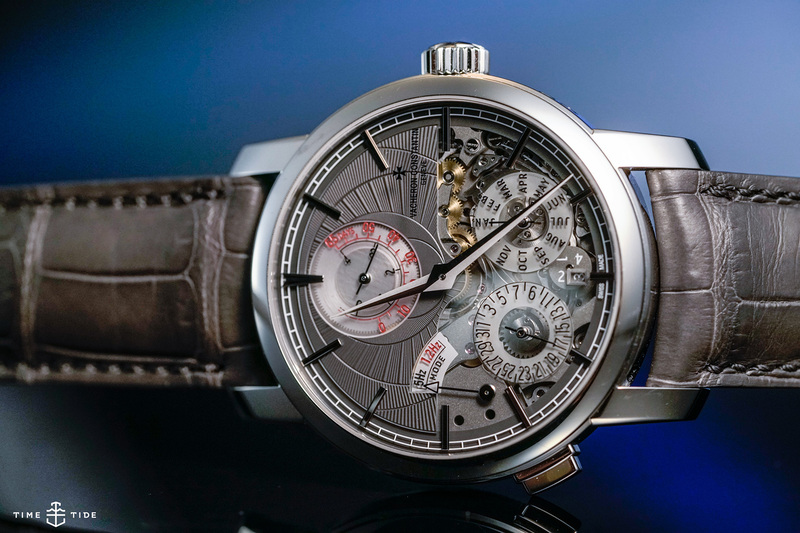 One of the real standouts of the show was Vacheron Constantin’s innovative Twin Beat, which boasts twin balances beating at different rates. The real trick, though, is that the wearer can set which balance is in use, either an active or a passive mode. Something that, in effect, means you get up to 65 DAYS of power reserve. Handy if you don’t want to reset that perpetual calendar. While none of the grand complications in this JLC is new per se, they’re all exceptionally well executed, the Westminster Carillon in particular. The real feat, though, is combining this much complexity in an eminently wearable package. And, finally, a complication of a different kind. Ressence has commercialised their pioneering e-Crown, which allowed the wearer to set the time via Bluetooth, and change the time display with the tap of a crystal. A 100 per cent mechanical watch with a connected time-setting component. It’s a novel idea, and one that just might catch on.